Adam Hood returns to Greenfest and will be making his 8th GF appearance in 2016. In 2005, we booked Adam into an acoustic songswap as part of Greenfest when very few people were familiar with him. Adam came down with laryngitis the day of the show but fought his way through 3 songs. Two years later, he joined us at the Antone’s Greenfest in 2007. Followed by the Momo’s Greenfest in 2009. Then of course, he’s headlined three years in a row with his full band set-up. In 2014, he even helped us take it to the river at Floathouse. Hood always lays down an excellent, groove-filled good time…but he seems to elevate his game at Greenfest. He has as much fun at this gig as the crowd does and it shows. 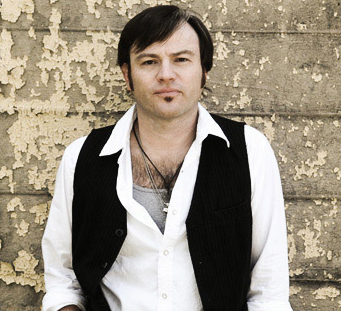 And, this year he’ll be joined in the full-band co-headlining slot with his Southern Brother Jason Eady. It’ll be a soul-packed event. Hope you don’t miss it! understand this is off subject nevertheless I simply needed to ask. I think the admin of this web site is genuinely working hard in support of his web site, for the reason that here every data is quality based material. all over the internet without my authorization.